Washington: The National Enquirer bought revealing messages between Amazon CEO Jeff Bezos and his then-secret girlfriend for $200,000 (Dh734,640) from her brother, The Wall Street Journal reported on Monday. The Enquirer accessed the text messages, and in January reported that Bezos had an extramarital affair with former news anchor and entertainment reporter Lauren Sanchez - a leak that led to his divorce. 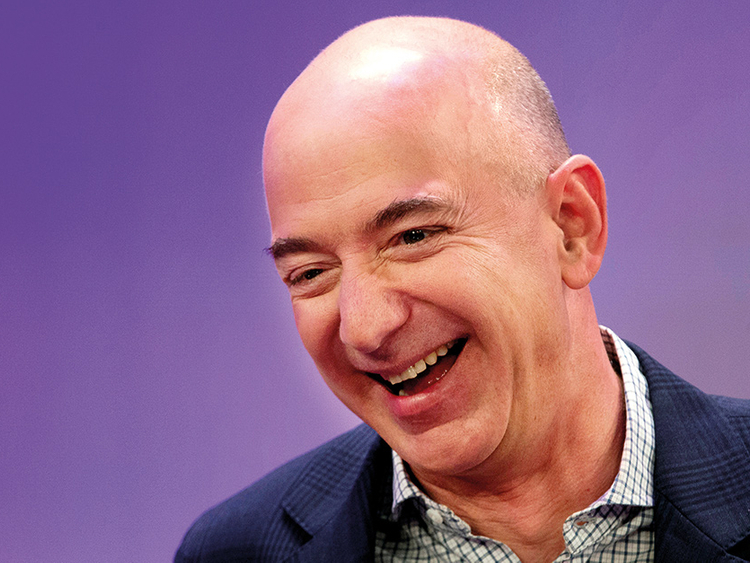 In February, Bezos accused the tabloid's publisher American Media Inc - led by David Pecker, who has been described as a close friend of Bezos critic President Donald Trump - of trying to blackmail him over lurid photos. Security consultant Gavin de Becker, who was investigating the leak for Bezos, previously told The Daily Beast that "strong leads point to political motives" - and that he was interested in Michael Sanchez, a vocal supporter of Trump with links to his inner circle, as a possible perpetrator.